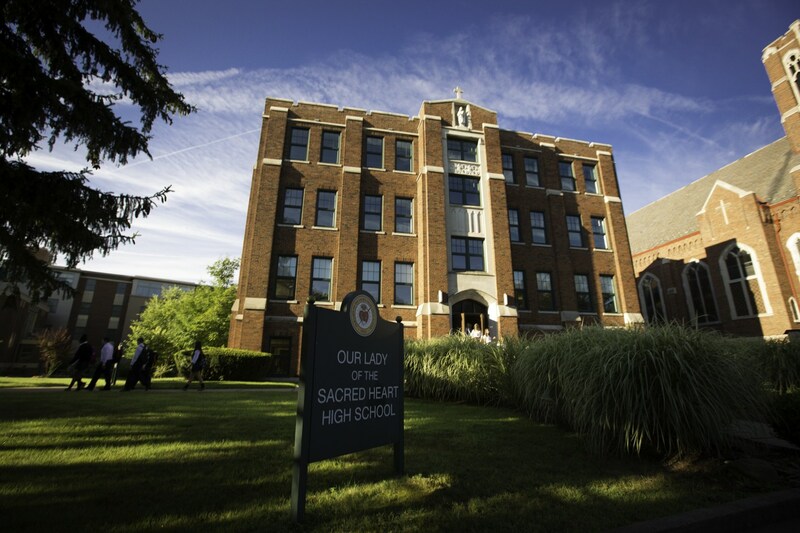 Our Lady of the Sacred Heart High School, a ministry of the Felician Sisters, is an independent Catholic school educating and transforming young men and women in grades 9-12 for lives of Christian leadership, stewardship, and service to all. 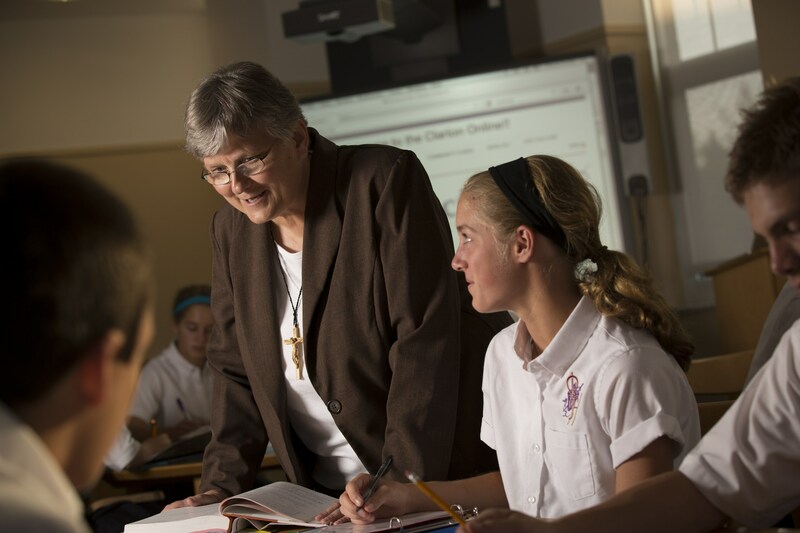 Students find their place at OLSH in a nurturing, yet challenging, student-centered environment. 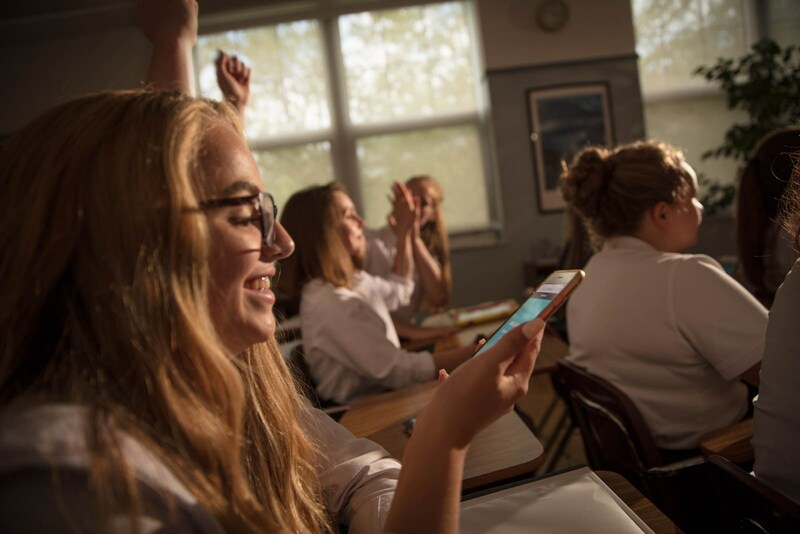 Students at OLSH are well-prepared for success, taught by talented and caring faculty members, and encouraged to reach their potential. 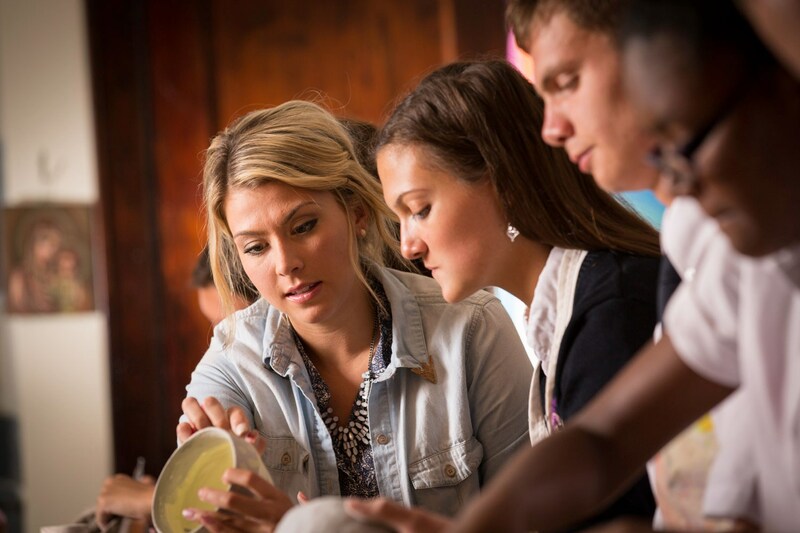 Students are inspired to lives of Christian leadership through faith and service experiences at OLSH. 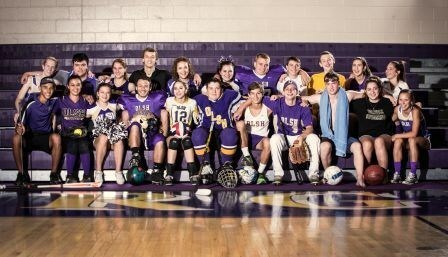 OLSH student-athletes build character, discipline, and sportsmanship through their participation in athletics at OLSH. 65% of OLSH students are student-athletes and 22 participated in all three seasons. 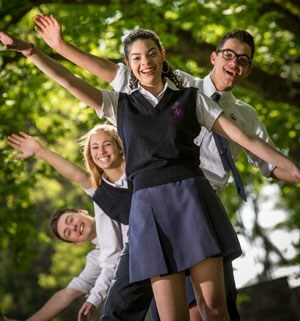 At OLSH, students are encouraged to express themselves creatively through visual arts, music, and performance. 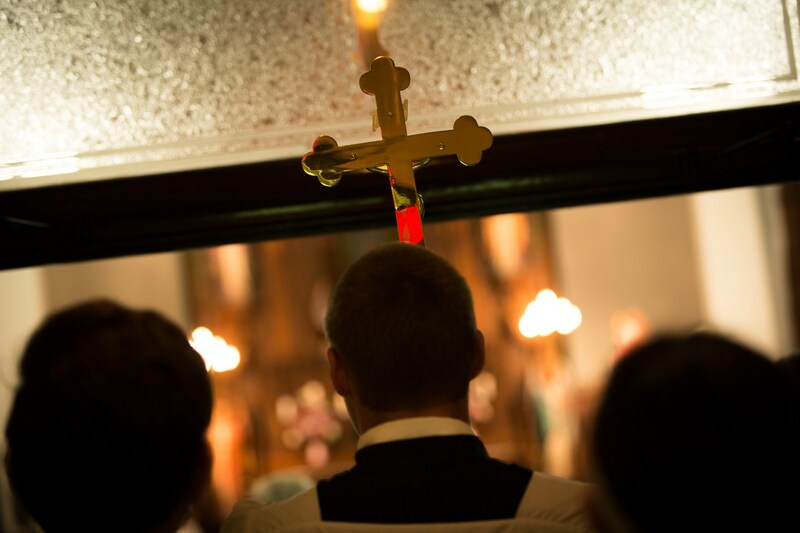 The generous and faithful partnership of our benefactors allows us to carry out our mission of educating and transforming young people for a life of Christian leadership, stewardship, and service to all. The most common word used by alumni to describe OLSH is "family." The family spirit is alive at OLSH! Mr. Pontiere shares over 30 years experience with OLSH students, teaching band and choir, piano, guitar, and music appreciation. Mr. Pontiere also leads the pep band and liturgical choirs and encourages his students to participate in opportunities like the PMEA festivals. 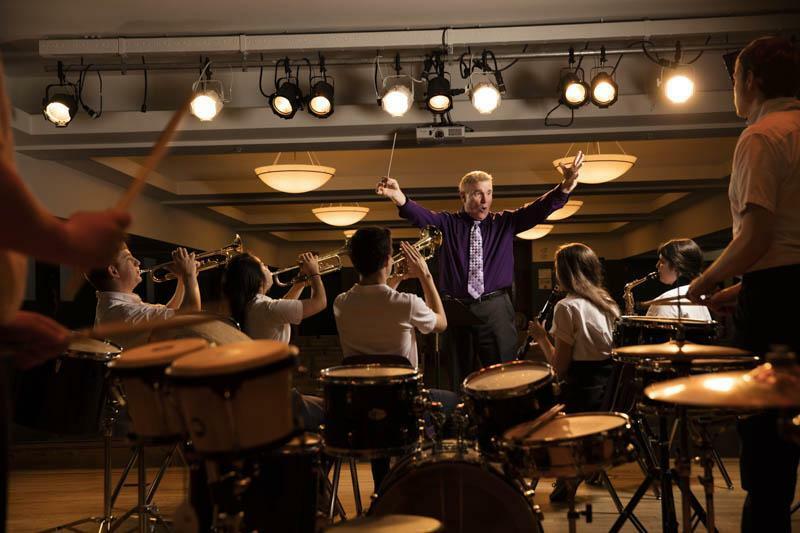 OLSH Music Teacher, Allan “Rusty” Pontiere became a member of the OLSH faculty in 2014, bringing with him over 30 years experience. Rusty holds a B.S. in Music Education from Edinboro University and received his M.S. in Education from Duquesne University where he also earned an Administration Certification. He was a past staff member and conductor of The Prelude Woodwinds of the Pittsburgh Philharmonic Orchestra and the first recipient of the Allan J. Pontiere Outstanding Music Educator Award from the Pittsburgh Youth Philharmonic Orchestra (PYPO). He has garnered a host of other professional accomplishments over the years through his dedication to and passion for music. Rusty started his fifth year at OLSH this past November. 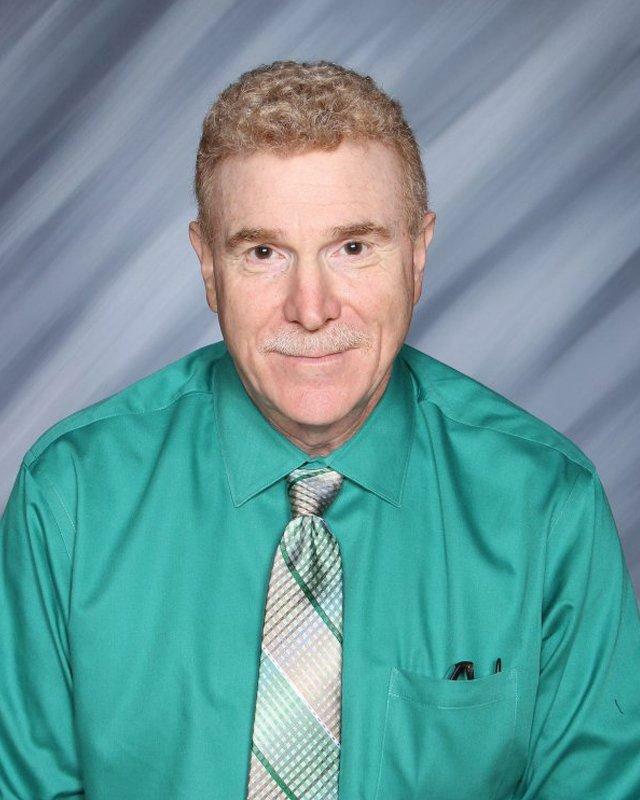 His wife Kelly, who works as the Admissions and Counseling Assistant here at the school, encouraged him to do some substitute teaching at OLSH after his retirement from Montour. Initially he subbed for a few days, and then finished out the year filling in for a music teacher who had left. That led to his being hired as the full-time music teacher. 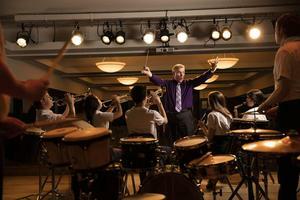 During his time at OLSH, he has worked to raise the bar for performance in chorus and band. Rusty said, “I want the kids to have fun but with discipline and quality.” His goal is for his students to perform and entertain to the best of their ability. Having taught middle school most of his career, Rusty said it is a pleasure to be back working with high school students. Rusty remarked, “You can get a little more out of them when performing.” He also feels that teaching is a bit easier due to the students’ maturity with music, especially those who have played since their grade school days. He has also been able to update the piano classes by adding Piano II and obtaining state-of-the-art digital full 88 key keyboards. Rusty said he has also had the opportunity at OLSH to teach the “non music” kids, those who never really had any desire to play, sing or perform, but need to fulfill their arts credit requirement. 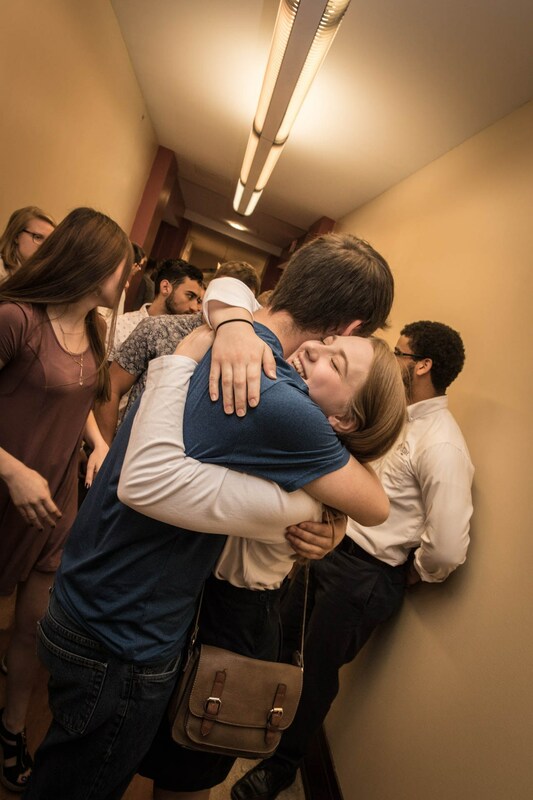 Rusty said that while this has been a challenge, he was able to develop a brand-new Music Appreciation class that covers everything from classical music, jazz, and rock and roll. A resident of Moon Township, Rusty and his wife have one son who is in college. Rusty also plays in a worship band and with a Top 40 band that performs locally at private parties. In his spare time, Rusty is an avid golfer and hopes some day to retire to the Hilton Head, SC area. But for now, he continues to both teach and inspire his students.